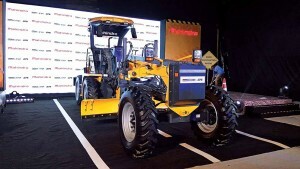 Mahindra RoadMaster G75 motor grader aims at the burgeoning road construction sector. 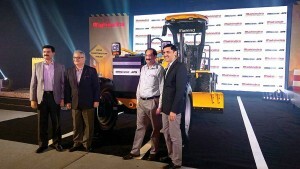 Mahindra & Mahindra Ltd. (M&M) entered the off-highway segment in 2011 with the launch of a backhoe loader. Offering construction tippers through its truck and bus business vertical, the company has introduced the RoadMaster G75 motor grader to cater to the burgeoning road construction sector. Built at Mahindra’s integrated manufacturing facility at Chakan, Pune, the motor grader is claimed to be 100 per cent indigenous in its built. 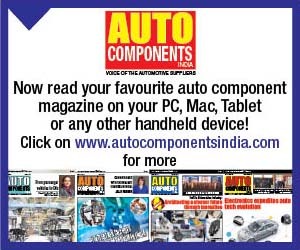 Positioned in a segment that is dominated by global Construction Equipment (CE) majors like Caterpillar, the RoadMaster G75, according to Rajan Wadhera, President – Automotive Sector, M&M, is built to last and priced highly competitively. 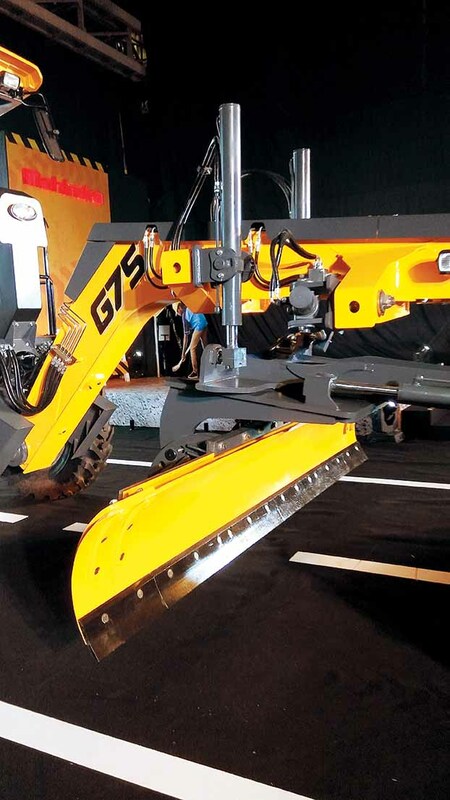 Expected to elevate the speed of mechanisation in the road construction sector, which is expected to grow at 15 to 20 per cent over the current levels, the RoadMaster G75 is priced at Rs.34.99 lakh inclusive of GST. Claimed to cost almost one third of what it takes to buy a motor grader from global CE majors, the motor grader has been specifically engineered for spreading and grading applications. Set to play a role in the government’s ambitious plan to build 83,677 km of roads over the next five years at a rate of 45 km per day, and with an investment of Rs.6.92 lakh crore, the motor grader is claimed to offer an optimised solution to road contractors for their grading needs. 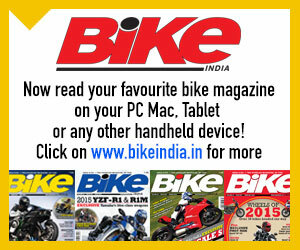 Expected to carve out a niche, the RoadMaster G75 was conceptualised in 2015. The first proto arrived in 2016. Productionised in 2017, the motor grader is powered by a 79hp DiTEC 4805 IA BSIII CEV engine. 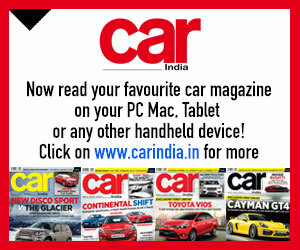 Mated to the engine is a four wheel drive (4WD), four-speed Carraro transmission. Featuring two hydraulic pumps, which provide it with a hydraulic multi-function capability, the RoadMaster G75 is fitted with a torque converter type clutch and power shuttle transmission. The motor grader, fitted with a 10 ft. wide blade, and a mouldboard designed to suit productivity and durability, is said to grade at 33 per cent. 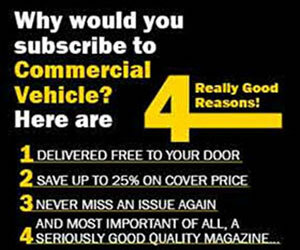 This is considerably more than what the other motor graders offer, claim M&M sources. 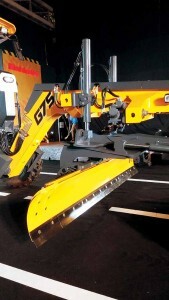 Offering a blade cutting angle of 25.6 degrees, and a rotation angle of 30 degrees with a blade side-shift of 513 mm, the RoadMaster G75 comes with a one year, unlimited hours warranty. With (1.98 m) dozer blade and (5 Tyne) ripper as optional fitments, the motor grader was subjected to 6,000 hours of rigorous testing, and has been validated for performance, safety and reliability. Supported by Mahindra’s sales and service network across the country, the RoadMaster G75 is equipped with Mahindra’s telematics platform DigiSense. Drawing from the experience Mahindra has gained selling tractors and backhoe loaders, the motor grader, claimed to have been bench marked against global quality standards, is both, functional and utilitarian. 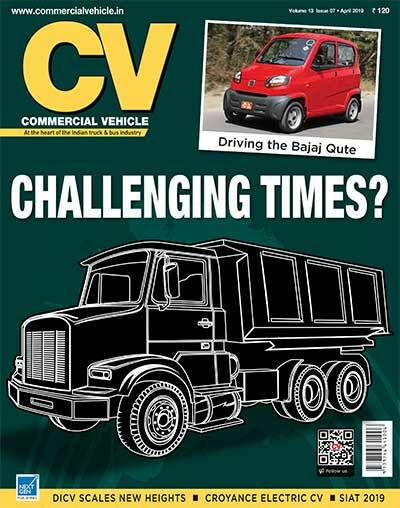 Aimed at the construction of small to medium roads, and to widen of state and national highways, the RoadMaster G75, said Vinod Sahay, Chief Executive Officer, Truck and Bus Division and Construction Equipment Division, M&M, will prove to be a disruptive addition to the motor grader segment. “It is set to deliver affordable mechanisation sans a compromise, and is aptly suitable for applications such as embankment or earthwork. For laying of railway tracks and levelling of large plots for industrial construction,” he concluded.